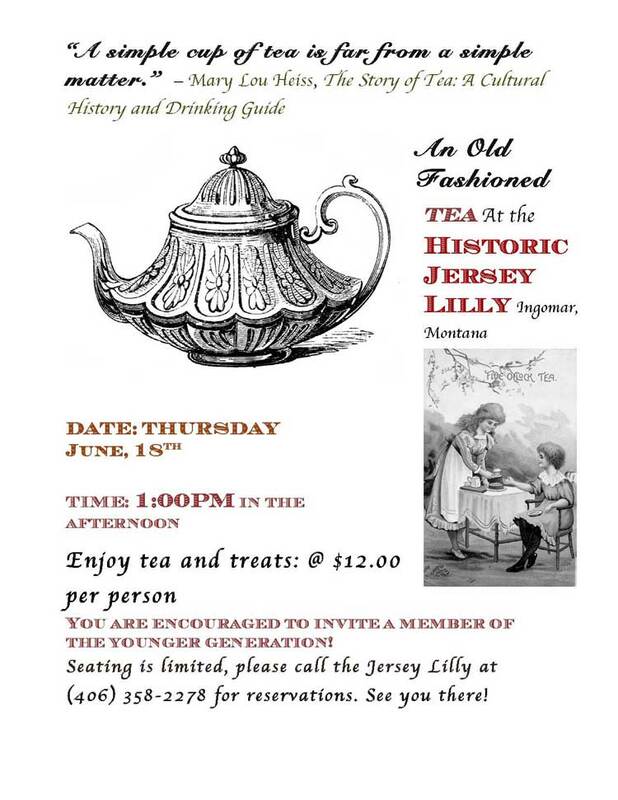 The Jersey Lilly, in Ingomar, Montana, is having its second annual old-fashioned afternoon tea on June 18th, 2015, and you are invited. “We had such a wonderful time last year,” said Jersey Lilly owner June Nygren, who plans to grace the occasion attired in a special Lilly Langtry outfit. Langtry was a famous actress in the 1880s, who toured with her own stage production company, and was celebrated for her beauty and charm. “Tea goers are invited to wear their favorite afternoon attire, or come in costume,” said Nygren. Hats are welcome – including cowboy hats, no white gloves are necessary, and tea-goers can be be prepared to enjoy an afternoon of fun. “And bring a member of the younger generation,” encouraged Nygren. Last year tea party guests graced the Jersey Lilly with a myriad of colorful costumes and shared a great afternoon of camaraderie. The event will begin at 1:00PM in the afternoon, and will feature special “savories” to eat, and various assortments of tea. 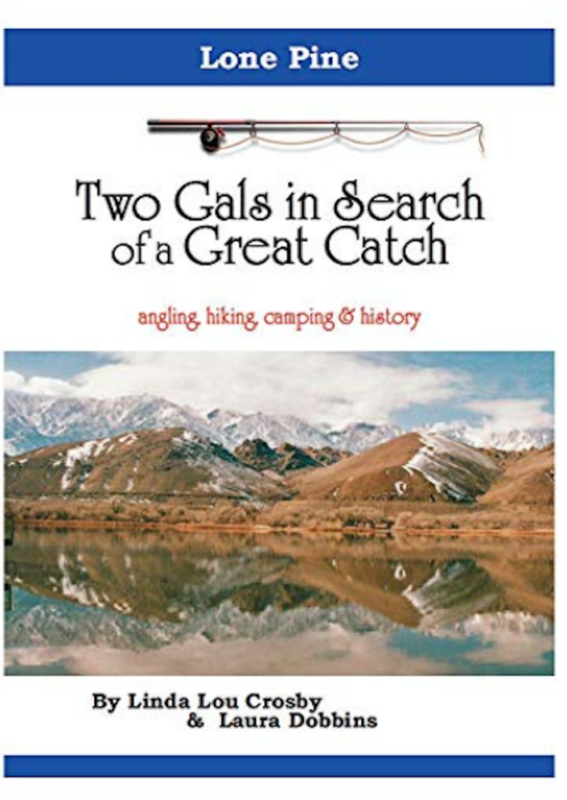 The cost is $12.00 per person, and there will be special door prize drawings for attendees. “I am really looking forward to enjoying the afternoon with our tea-drinking guests,” added Nygren. 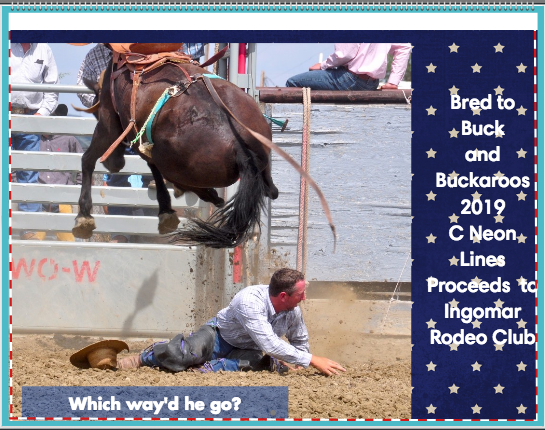 For more information on the event, or to make reservations, please call the Jersey Lilly at (406) 358-2278.